Dutch officials have rejected a retired US general's claim that its forces failed at Srebrenica because of poor morale over openly gay soldiers. 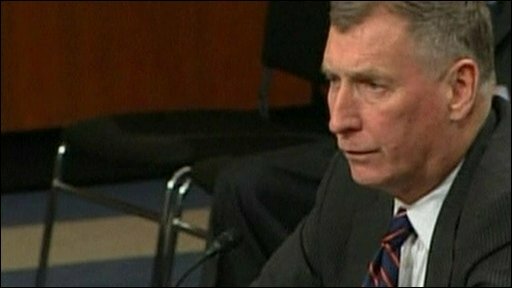 A defence ministry spokesman dismissed as "complete nonsense" the remarks by John Sheehan, a former Nato commander. Gen Sheehan said the former chief of staff of the Dutch army had told him that the presence of openly gay soldiers in the Dutch peacekeeping force were seen as "part of the problem" which contributed to the fall of Srebrenica. He argued that since the end of the Cold War, European militaries had changed and he concluded "there was no longer a need for an active combat capability". This "socialisation" process, Gen Sheehan said, "included open homosexuality" and led to "a focus on peacekeeping operations because they did not believe the Germans were going to attack again or the Soviets were coming back". "It is astonishing that a man of his stature can utter such complete nonsense," Dutch defence ministry spokesman Roger van de Wetering said in response. 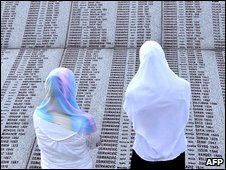 "The Srebrenica massacre and the involvement of UN soldiers was extensively investigated by the Netherlands, international organisations and the United Nations. "Never was there in any way concluded that the sexual orientation of soldiers played a role." The Dutch ambassador to the US, Renee Jones-Bos, added in a statement on the embassy's website that she "couldn't disagree more" with the claims by the former general, who retired from the military in 1997. In the US Senate itself, Senator Carl Levin, chairman of the Armed Services Committee, told Gen Sheehan he was "totally off-target". Several countries - including Britain, Canada, Australia and Israel - allow openly gay people to serve in the armed services.